Er is niet getest of de mappen nog verborgen zijn na een herstart in dezelfde Windows in veilige modus met het programma geïnstalleerd. Safehouse is goed en gratis is genoeg voor velen! #5 van die dag zegt het ook. opnieuw onderzoek of er iets veranderd is behalve het versie of build-nummer? nah... Safehouse is goed en gratis is genoeg voor velen! Mijn advies: Safehouse. Ik heb een betaalde versie, maar de gratis versie zal voor de meesten volstaan. Op mijn W10 werklaptop heb ik daarmee een virtuele versleutelde harde schijf gemaakt, waarin zowel het Thunderbirdprogramma staat als alle mailbestanden. Een dief heeft niets aan mijn laptop, noch aan de harde schijf. Mijn mail is en blijft veilig. Voor betalen is er gelukkig wel iDeal aanwezig naast vele creditcards. krypteller, vreemd genoeg staat Win10 nog niet bij de OS-eisen: XP, Vista, Windows 7 or Windows 8 Voor betalen is er gelukkig wel iDeal aanwezig naast vele creditcards. Yipes! After six months, what happens? You have to pay ransom to retrieve your files? Try Vera Crypt. It's free forever. The random seed for the encryption process is you moving your mouse around for a long time. Try duplicating that! Then you enter the file/folder password you want to use. 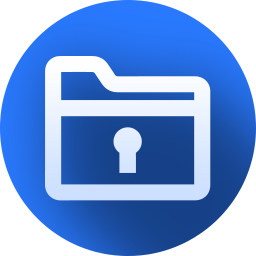 If "Protected Folder" can be bypassed by starting Windows in safe mode then it is useless. Try Vera Crypt. It's free forever. The random seed for the encryption process is you moving your mouse around for a long time. Try duplicating that! Then you enter the file/folder password you want to use. 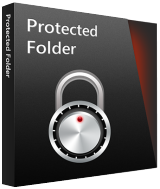 If "Protected Folder" can be bypassed by starting Windows in safe mode then it is useless. I've tried lots of encryption programs and IMO, the best so far is *PowerCryptor*. It's elegant in it's functions including self-decryption files, been flawless in operation. It has a 'free' version but with few restrictions. No hidden NSA *backdoor* for Gov. Agency. (I don't work for the company). I tried the FREE giveaway product and then bought it on promotion for 10 US$ for lifetime licence. No regrets. Cyril King, you can't know if a proprietary piece of software contains any backdoors or not, if you don't have straight access to the source, not some source in some state, the exact same source that's been used to compile all this. I would never state such a thing, if i can't be 100% sure. From the description you only have a 6 month license and it doesn't work in Windows 10.